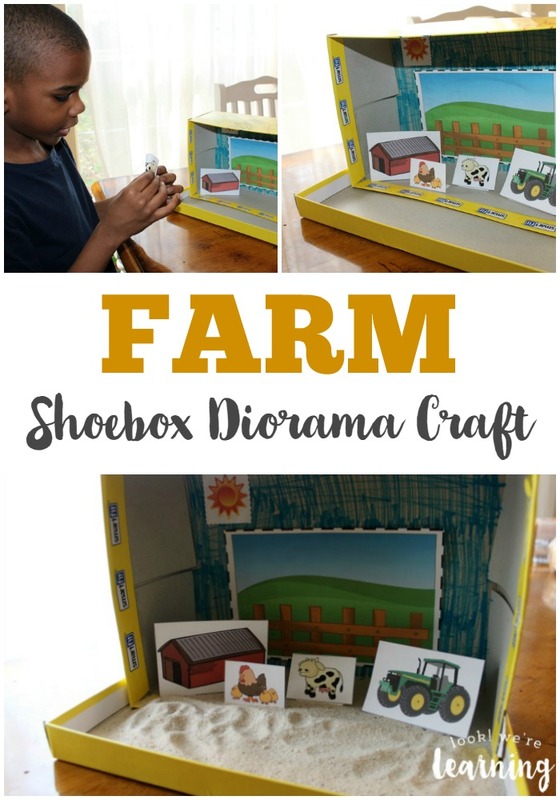 Farm Shoebox Diorama Printables - Look! We're Learning! We started our dinosaur unit a few days ago, but we’ll be learning about farms soon too! So I put together a simple farm shoebox diorama printable pack that you can make with your kids in just a few minutes! This activity is a super fun one for creating a farm unit study with young children. Kids can put together their own diorama while learning about common farm animals, equipment, and more! Read on to see how to get your farm diorama printable pack free! 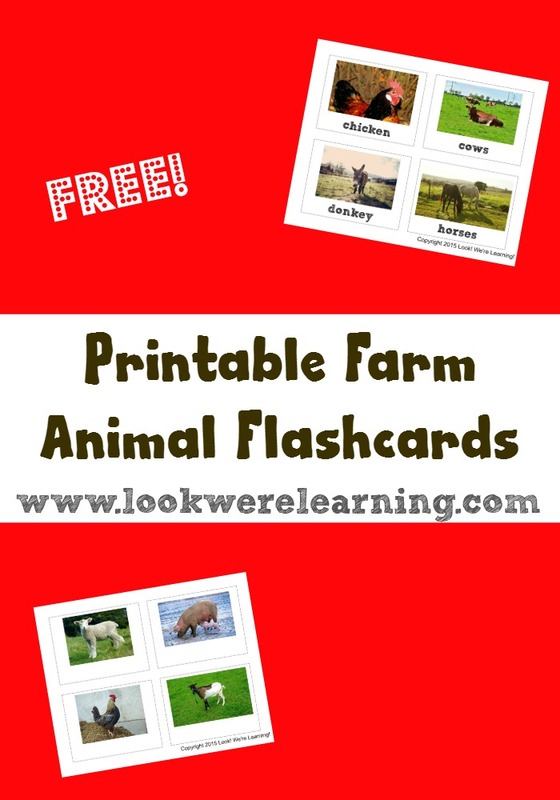 And be sure to grab our free farm animal flashcards while you’re here! In this pack, you’ll find diorama frames featuring farm objects, including a tractor, a barn, a fenced background, a cow, and a hen with chicks. Plus, there’s a sun you can paste onto the background. Be sure to cut out the stand-up frames and the smaller squares underneath the pictures as one piece. You’ll fold the smaller square under the top picture to create a 3-d image. 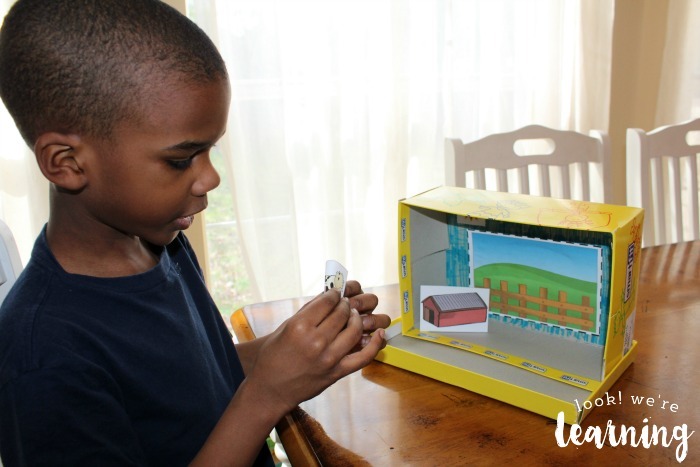 Take a look at this pack in action with our Farm Shoebox Diorama Craft! 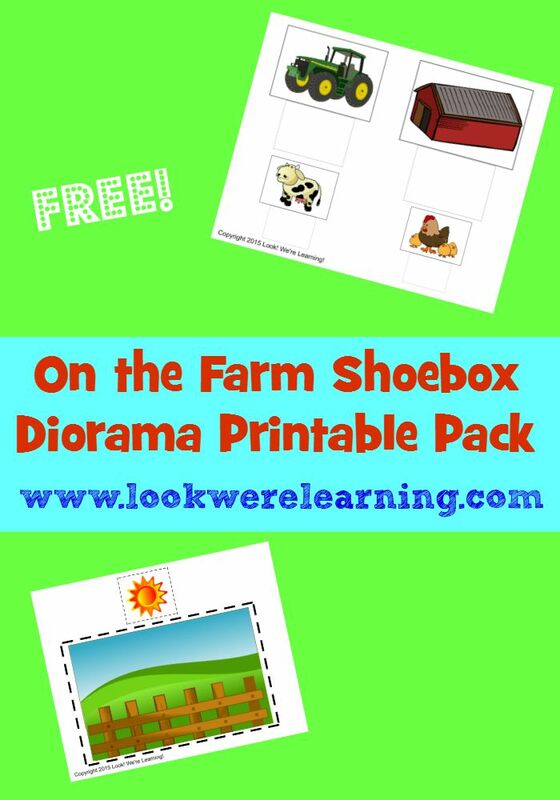 Scroll down to get your free On the Farm Shoebox Diorama Printable Pack! Be sure to check out these other farm learning ideas! And get more ideas for hands-on crafts on my Simple Crafts for Kids Pinterest board! 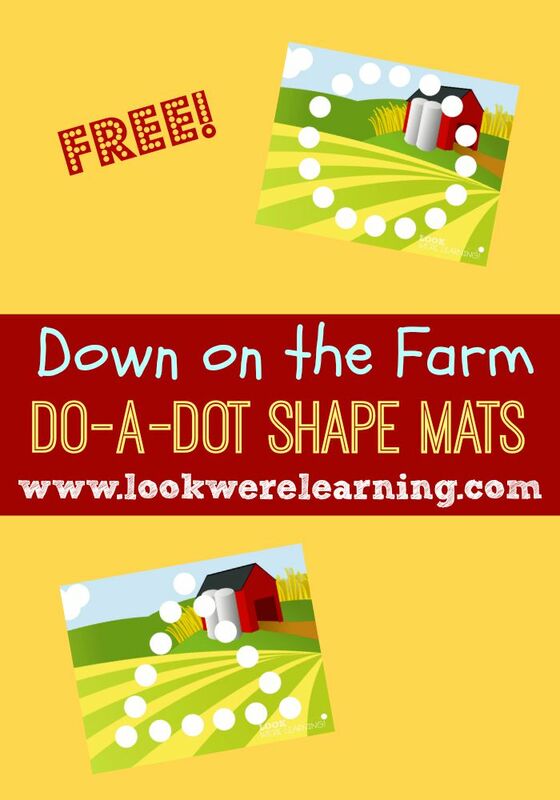 To get your copy of our free On the Farm Shoebox Diorama Printable Pack, click the image or the link below to download it!